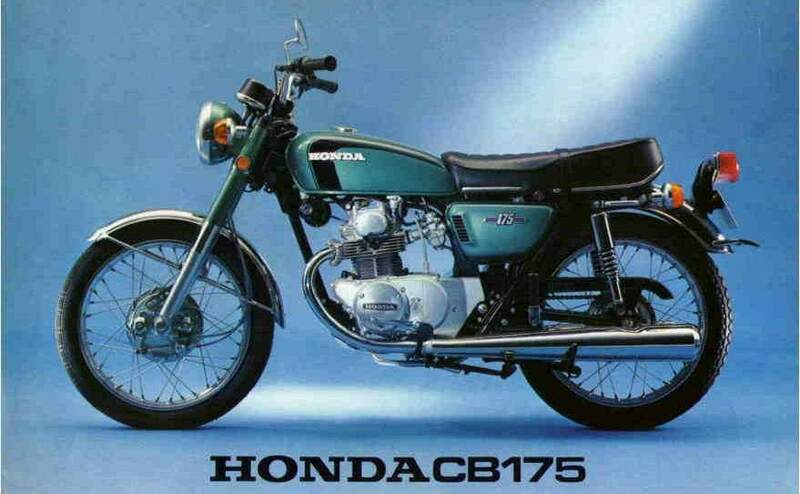 The CB175 was a standard motorcycle made by Honda from 1969 to 1973. It had a 174cc overhead camshaft twin-cylinder 4-stroke air-cooled engine, dual carburetors, dual exhausts, 5-speed gearbox, 12 volt electrics, kick and electric start, front and rear drum brakes, turn signals, speedometer with trip meter, 1972 and later models, and tachometer, and was rated at 20 horsepower. An update in 1972 brought a more rounded gas tank and changes to the air box covers, along with some other minor trim changes. The CB175 was discontinued for 1974 and replaced by the CB200, a similar bike already in production. Although not technologically remarkable, Honda's small twins of the 1960s and 70s were among their best sellers.